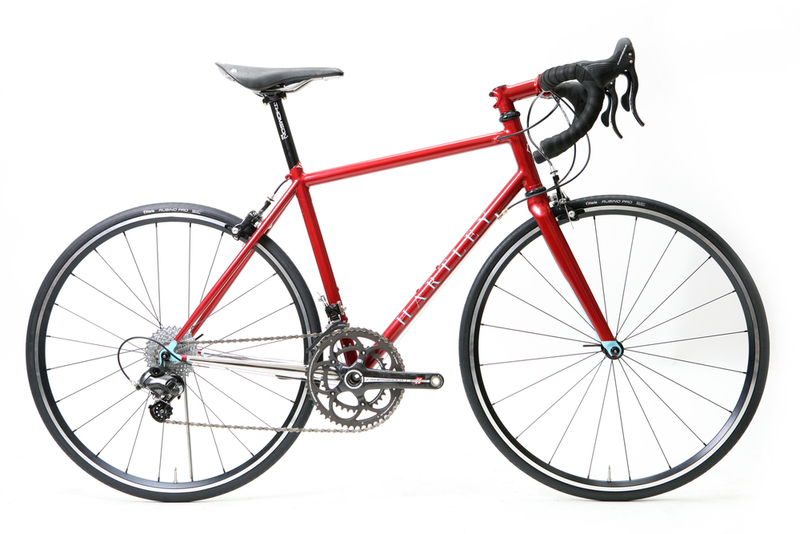 Sarah wanted a new light road bike to help her improve her speed and ride in more comfort. At 5'1" Sarah had struggled to find a bike that fit, and as she had increased her milage her current bike was giving her comfort issues. 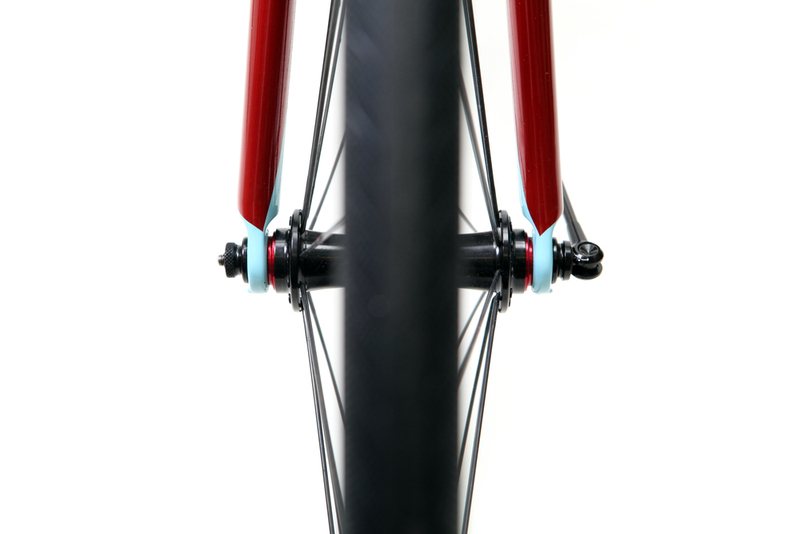 A 650c wheelset was an obvious choice for Sarah, allowing us to create a well proportioned bike with a nippy and responsive feel. For the groupset we went for Campagnolo Chorus with a Super Record crankset, which has one of the lowest Q factors which can be an advantage for smaller riders. 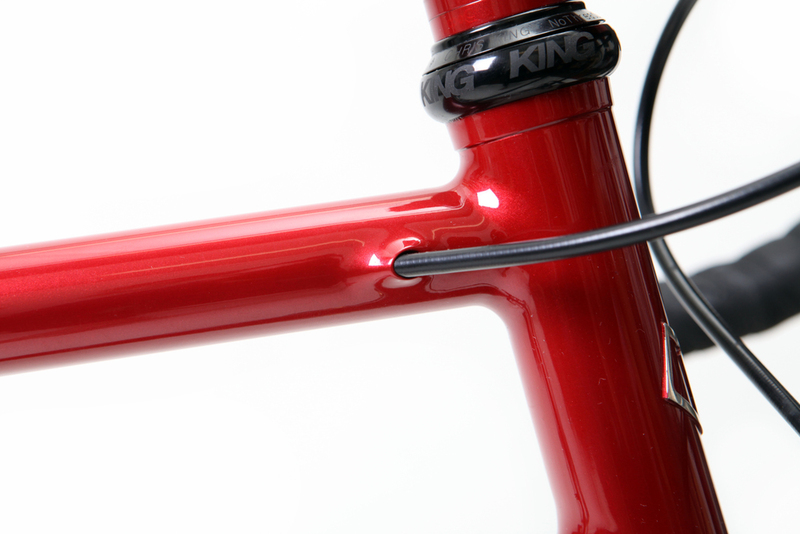 Also, Campagnolo's Ergo shifters are, in my opinion, one of the comfiest for smaller hands. 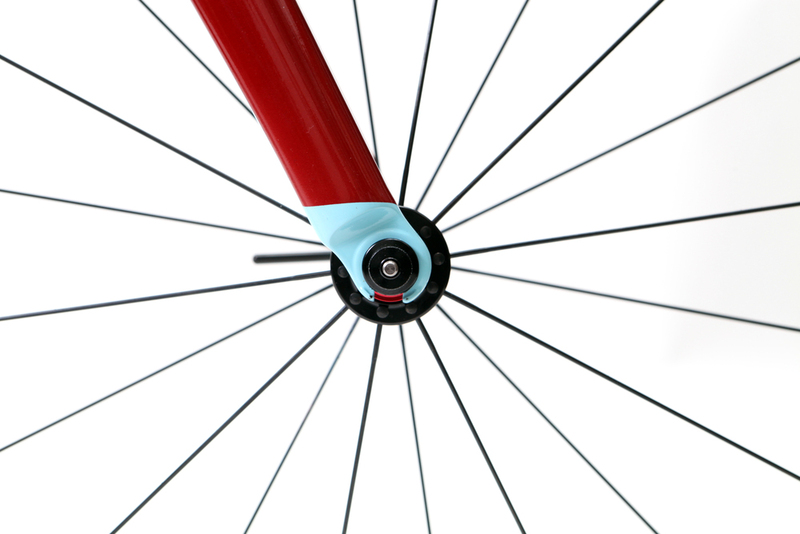 For the paint design Sarah chose a stunning metallic red to match the World Bicycle Aid stem cap she had been saving for her new build, with a bright aqua to contrast it. 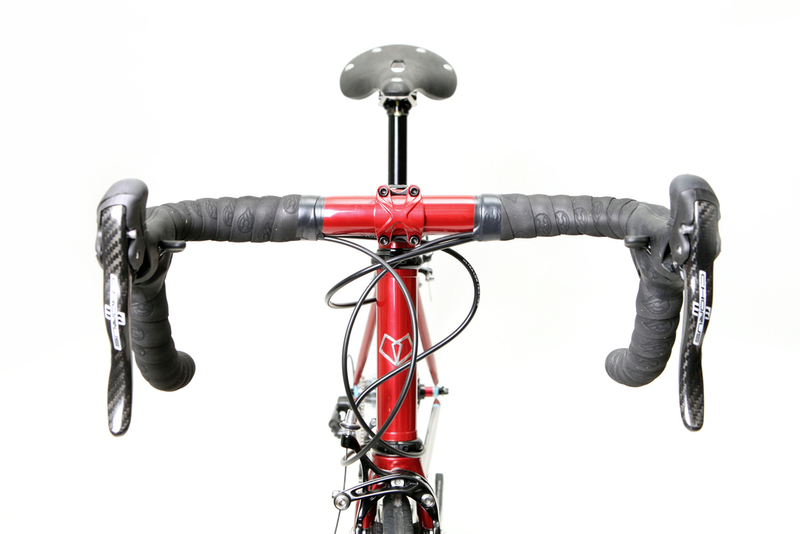 but it makes such a difference to your cycling when a bike fits you. It is a real head turner too. Someone recently told me "it was their favourite bike in all of Aberdeen”. 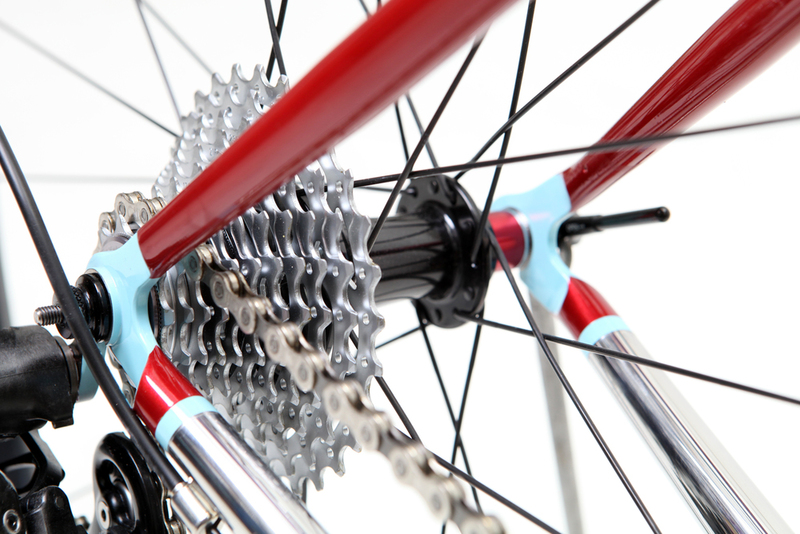 Wheelset: - 650c Velocity A23 rims with Spin road hubs and Sapim race spokes. 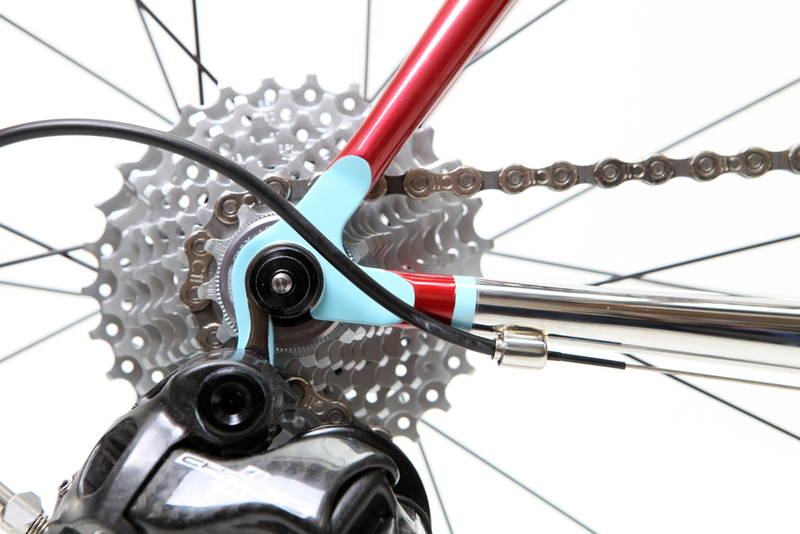 Groupset and Finishing Kit: - Campagnolo Chorus 11sp Groupset, with Super Record cranks. Bars and stem Cinelli Dinamo - custom painted, Seat post Thomson Elite, Saddle Brooks Cambium C17s, Bar Tape cinelli cork tape. 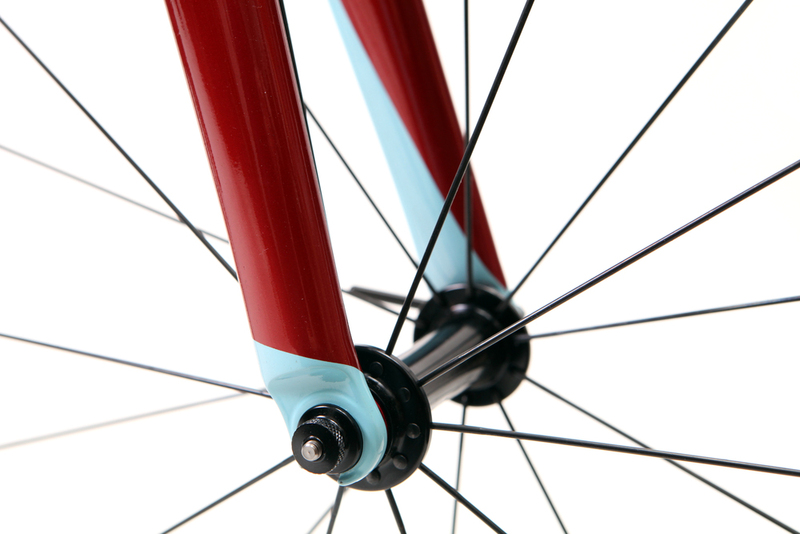 Paint: - Custom paint work in metalic red with aqua. Name etc. all in paint, no decals. 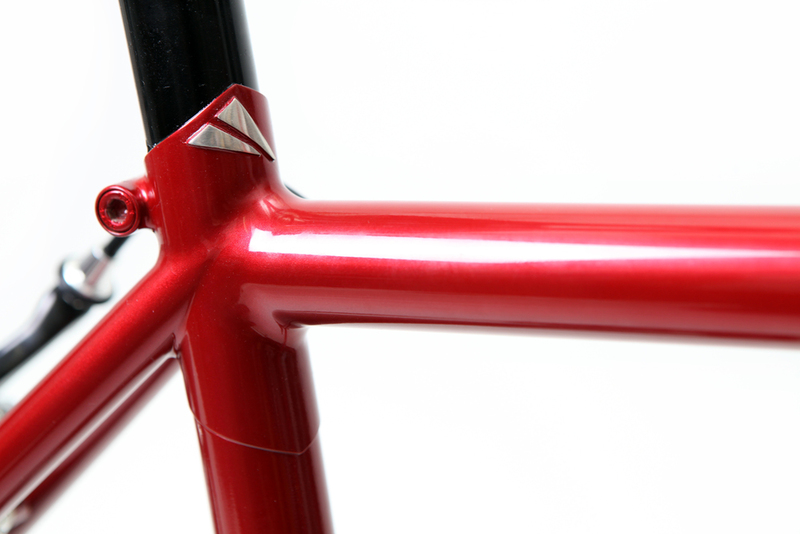 Forks, stem and bars painted to match.